Did Billy the Kid kill Frank Cahill? In Tombstone, Arizona Territory, the town too tough to die, Dr. George Goodfellow is known as the Surgeon to the Gunfighters. Friends with the Earp brothers and Doc Holliday, his services as a doctor are needed in the aftermath of the Gunfight at the O.K. Corral, but Goodfellow is handy with a gun and his fists, too, and he needs those skills to survive when he's stalked by a crazed miner and has to untangle a deadly murder mystery! The West of the Big River series continues with THE DOCTOR, an all-new, exciting novel based on actual historical characters and incidents by acclaimed Western author Clay More, author of STAMPEDE AT RATTLESNAKE PASS and many other novels from the Western Fictioneers Library. One of the most stirring time periods in Old West history comes to vivid life in this tale of vengeance and heroism and a frontier sawbones dedicated to healing. Dr. George Goodfellow removed his stethoscope from the man’s bare back and went back to his roll-top desk. Stanley C. Bagg, the five-foot tall owner and editor of the Tombstone Prospector and laterally, also the owner of the Tombstone Epitaph, tucked his shirt into his pants and pulled on his jacket. Then he pulled out a pair of wire-framed spectacles from his breast pocket and settled them on his thin nose. The two men were old friends, as were their wives and daughters. Or at least, their wives had been good friends until the month before when Dr. Goodfellow’s wife Katherine died in Oakland from the tuberculosis that had plagued her for years. And both men were known to be forthright in their opinions and in their manners. Stanley was a bullish, combative newspaperman who for all his lack of height was a formidable man to cross. He had been prepared to serve a jail sentence for contempt of court when he refused to pay a fine imposed upon him by District Judge Barnes. Fortunately, several of his friends, including his friend and doctor had donated money to keep the newspaperman out of jail, while leaving his personal integrity intact. As for Dr. George Emory Goodfellow, he had built the premier medical practice in Tombstone and garnered a considerable reputation throughout the Southwest as the surgeon to have operating on you, if you had a choice. He was prepared to push back the frontiers of his craft and perform operations that no one had tried before or even thought to be possible. George stood up. He was taller than the newspaperman. He was thirty-six years old and powerfully built, like the boxing champion he had been at the United States Naval Academy at Annapolis in his youth. He had been hotheaded back then and gotten involved in a fight at the Academy, the result being a win for George. Unfortunately, his prize was expulsion and discharge for lack of respect for discipline. That had been the time when he had chosen to make his career in medicine. He had black hair with a central parting, a full mustache and steely eyes that could smolder with anger, twinkle with amusement or which could be reassuring in the extreme. As usual he was wearing a bow tie and a dark suit with his polished knee high boots. He pointed to the wall above his desk upon which hung his framed medical degree beside a framed copy of the Hippocratic Oath, and in a small glass-fronted box a silver double-headed eagle medallion of Austria, which had once been the property of Emperor Maximilian of Mexico. 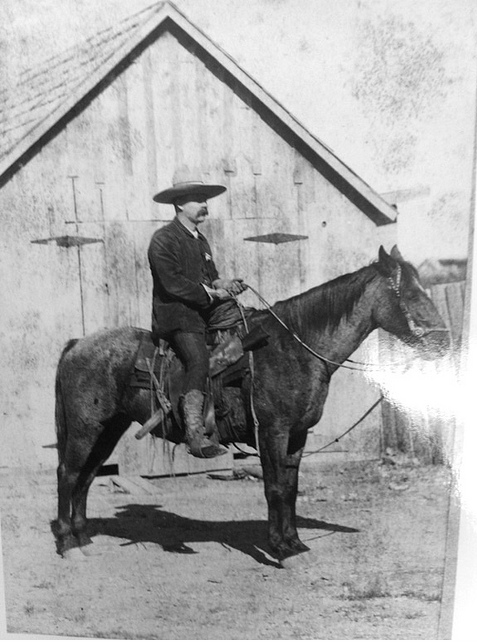 Stanley had written an article about it when it had been presented to Doctor George Goodfellow by President Porfirio Diaz, along with a horse named El Rosillo in 1888 following the Sonora earthquake. They were given as tokens of Mexican esteem after he had loaded up his wagon with medical supplies and led a party ninety miles to Bavispe, Sonora, Mexico to treat survivors and injured. Then in the following months he had returned along with Camillus Sidney Fly, the town photographer, to study and record the effects of the earthquake. Together they travelled over seven hundred miles through the Sierra Madre Mountains. Both Camillus Fly’s photographs and George Goodfellow’s maps and reports earned national praise. The photographs of the earthquake rupture scarp were widely syndicated and George’s geological study had been praised by the united States Geological Service. Stanley knew that his friend was proud of the award, yet he was far prouder of the fact that the townsfolk of Bavispe had called him El Santo Doctor, the sainted doctor. His fluency in Spanish had helped, since he could communicate, explain and reassure the injured in their own tongue. It was typical of the man that he cared more about what his patients thought of him as a doctor than he did for all the accolades and prestige that he seemed to accumulate with little effort. He was just a natural subject for newspaper coverage, one of those characters that the frontier seemed to throw up every now and then. His hands went up to grasp the lapels of his coat, a slightly pompous mannerism of his that many folks found intimidating, because it was usually accompanied by a slight raising of his jaw and a triumphant twinkle in his eye that signaled, at least in his mind, that he had either won, or was about to win an argument. Stanley opened his mouth to protest when there was a sudden commotion from the waiting room outside. Voices were raised and there were exclamations of amazement. Then there was the noise of heavy boots racing across the wood floor and a beating on the door was followed by it being immediately thrown open. George recognized the messenger as Walt Harper, one of the ushers from the Schieffelin Hall. He could see the panic in his face. The doctor had already sprung into action. He had grabbed his black bag then dashed to a cupboard from which he took out a couple of small wooden cases which he threw into the bag. Then he was out the door and dashing down the outer steps of the Crystal Palace Saloon from his office. As was often the case when folks saw Dr. Goodfellow racing someplace he attracted a number of followers who tagged on behind him. Tombstone was that sort of place. It had a lot of folks who seemed to have an unhealthy interest in sudden death. As long as it wasn’t their own. 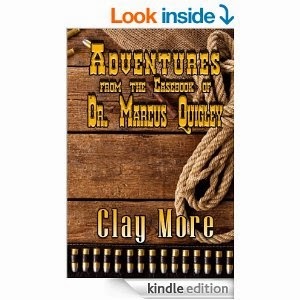 Clay More is the western pen-name of Keith Souter, a part time doctor, medical journalist and novelist. He lives and works within arrowshot of the ruins of a medieval castle in England. In 2014 he was elected as Vice President of Western Fictioneers and he is also a member of Western Writers of America, The Crime Writers’ Association, International Thriller Writers and several other writers organizations. 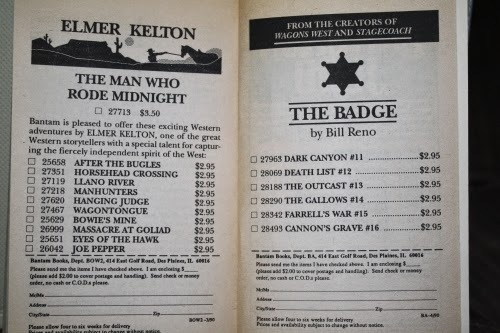 He writes novels in four genres – crime as Keith Moray, Westerns as Clay More, Historical crime and YA as Keith Souter. 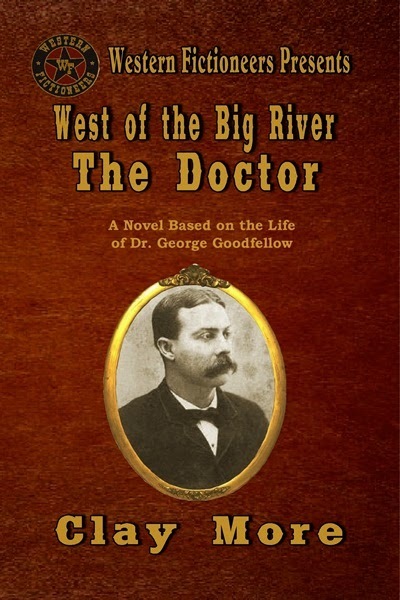 His medical background finds its way into a lot of his writing, as can be seen in this novel about Doctor George Goodfellow as well as in most of his western novels and short stories. His character in Wolf Creek is Doctor Logan Munro, the town doctor, who is gradually revealing more about himself with each book he appears in. Another of his characters is Doctor Marcus Quigley, dentist, gambler and bounty hunter. He has recently published a collection of short stories about him in Adventures from the Casebook of D Marcus Quigley, published by High Noon Press. Or check out his regular contribution about 19th Century Medicine here on the WF blog. Cheryl had a blog day that wasn’t filled so I knocked out a little remembrance from some years back. What made me recall this was the story I wrote for this blog about the 1959 Poe Elementary School bombing a few weeks ago (“The Day Things Changed” May 19), although it’s not directly related to it. I was raised in Houston, Texas, in what today is called “Inside the Loop,” referring to the 610 Freeway Loop that encircles the inner city. Back in those days though, there wasn’t a loop to be “inside of.” It was an area near Rice University and southwest of downtown—unusual for many cities because downtown was right in the center of the city. In 1959 Houston’s population was a mere 936,000 compared to today’s 2,200,000—over six-million for the Greater Houston Area. Even with a population under 100,000, back then it was the seventh largest city in the country. To me it felt like a big city with a small town atmosphere. So, stepping back into 1959; Terry Dexter and myself had a date of sorts. Terry’s a cute, tomboyish, redhead, across-the-street neighbor. I say “a date of sorts” because we weren’t “hooked up” as kids say today. We were buddies. 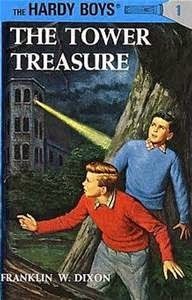 We had built a scrap-lumber fort behind the garage with other neighbor kids, pulled silly pranks, had firecracker and BB gun fights with maundering kids (today, SWAT would be called in and our parents court-ordered to seek counseling for us), rode our bikes to The Village shopping district, read each other’s Hardy Boys and Nancy Drew novels, and had spats—she punched me out once, knocking me into rose bush. We were going to a movie. Ben-Hur had just opened. It was a November Saturday matinee show, so there’d be no lines. Back then, when a new extravaganza movie opened it was shown in only one theater in the city, and on weekend evenings, lines wrapped around the block. After a few weeks, it would be shown in other theaters. 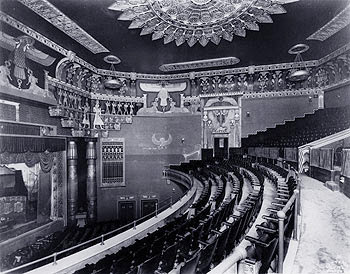 Ben-Hur was showing at the downtown Majestic Theater, a grand theater opened in 1923 and bedecked in the gaudy style of an Italian Renaissance opera house. Terry was decked out in a pale green sack dress—went well with her bobbed red hair. That was the hottest style from France, basically a straight tube—no tapered waist or belt—with three holes in the top for head and un-sleeved arms. I wore a white dress shirt, dark slacks, and Sunday shoes. All dressed up, we walked to the end of the block and caught the Fannin Street bus for downtown. Cost us a dime each. A half-hour later, we stepped off the bus in the middle of bustling downtown. There were no malls in the suburbs so everyone went downtown on weekends to shop at Foley’s, Sears, and Woolworth’s. Nowadays, the downtown is deserted on weekends except for a few trendy clubs and restaurants. We knew to get off at Fannin and Rush Streets and then walked two blocks to the 2,000-seat theater. I think it was a $1.50 apiece for the movie and we got a drink (Two straws, please.) and popcorn together was maybe another buck. The movie over, we did some window-shopping on Main Street and retraced our steps to Fannin Street and waited at the stop for the bus having do idea of the schedule. We were let off at our bus stop and I walked Terry home and chattered with her parents a bit. Then I walked across the street to home. Now you’re probably saying to yourself, mildly interesting, so what’s the big deal? No big deal at all, except no one thought a thing of it that we were 11 and totally out on the town on our own. It was written by Jason Aaron with art by R. M. Guéra. Aaron has said the over-arching plot was inspired by the story of Leonard Peltier and the 1970s conflicts between AIM (American Indian Movement) and the FBI- and if you follow it, you will clearly see the connections. The series stars Dashiell Bad Horse, who is returning to the (fictional) Oglala Lakota reservation called Prairie Rose after many years away. Bad Horse, a "borderline sociopath with deep-seated anger issues," is promptly hired by corrupt tribal president Lincoln Red Crow to serve on the tribal police force, which is really an arm of Red Crow's many illegal activities. Bad Horse's mother and Red Crow had both been heavily involved in radical Indian activism on the rez in the 1970s. What Red Crow does not know is that Dashiell Bad Horse is actually an undercover FBI agent, there to not only get info on Red Crow's criminal empire but solve the decades-old murder of an FBI agent. The series has garnered a lot of praise from critics. It really is a very well-written, gritty crime series- if it sounds like it should be on TV, just last month it was announced that WGN will be producing it as such in the near future. 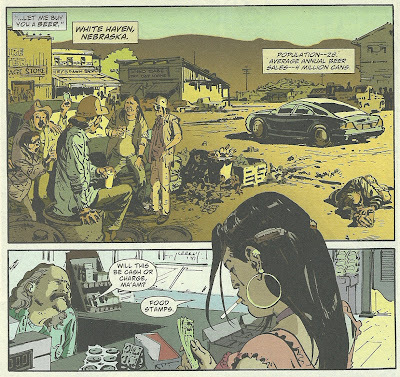 On the other hand, I've heard a lot of criticism about the series, from Lakota friends in particular, due to the fact that it focuses so heavily on poverty, crime, and corruption, thus reinforcing a lot of general stereotypes. Such complaints, in my opinion, should be honored and acknowledged. It'll be interesting to see how WGN handles these issues in their television series. Have you ever wondered how the outcome is decided at a Civil War reenactment? First and foremost, attention is paid to historical accuracy. Whatever battle is being portrayed is played out according to the way it actually happened. For example, the unit that I reenact with portrays the 11th Louisiana Co. K. During the War, the unit suffered heavy losses during a bayonet charge at Shiloh. This past year during that reenactment, our company charged the enemy lines and most of us took hits as a way to honor the brave men who fought in that regiment. However, before each battle, the commanders of the opposing sides meet and create a scenario as a way to put on a show for the spectators and to keep it as historically accurate as possible. Everything is discussed including how many hits to take as well as when each side advances and retreats. A battle is scripted before hand to keep it as safe as possible. Of course, taking a hit is an art of its own. There are several factors that play into it. If too many reenactors fall, then there won't be enough left to put on a show for the spectators, but there also has to be an element of realism with all of the rounds being fired. Generally, the commanders will tell us to take a few hits and we have to time it so that we fall when the enemy fires a volley or an opposing cannon goes off. Other times, if one of us runs out of rounds or a rifle fouls, there's sometimes no other choice than to take a hit. Another important element is where to fall. If cavalry has been across the field, you don't want to fall where they have been because horses tend to leave "signs" of their passage. Also, falling in a bed of fire ants isn't exactly wise either. When the weather is hot, taking a hit and laying in direct sunlight can lead to dehydration if you have to stay there for any length of time. I've seen reenactors take hits and become wounded and crawl to shady spots before actually dying. I might even have done that myself once or twice. Is there anything about reenactments that you've wondered about? Feel free to ask and I'll do my best to answer in the comments. 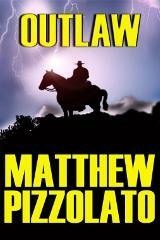 A young, out-of-work cowpoke stumbles across the sole survivor of a brutal massacre. Alone and mute on a frontier where Mexican women are abused and discarded, teenaged Marta is ill-prepared to care for herself…or so Bud Eugen assumes. When he can find no one, not even a church, to take her in, Bud does the chivalrous thing and appoints himself Marta’s protector. The initially reluctant relationship changes them both, and soon they’re protecting each other. 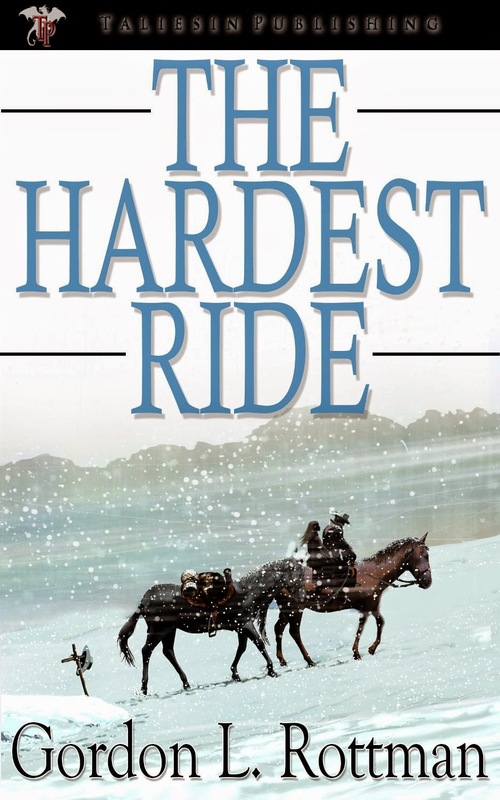 Gordon Rottman’s debut western, The Hardest Ride, is a nominee in two 2014 Peacemaker Awards categories, Best First Western Novel and Best Western Novel, and rightly so. Though a maiden release, the story holds its own against some of the best western fiction penned by contemporary authors. Though the plot stumbles under its own weight in a few spots, the characters and settings are so vivid, the author’s voice so strong, that readers will gladly overlook minor missteps. Bud and Marta compose an odd couple from the beginning. She’s prickly; he’s easygoing. She’s mute; he verges on chatterbox. He’s tough enough to survive on his own in the West; in some ways, she’s tougher. Inside they’re remarkably similar: Two lonely young people wearing masks to cover life’s scars. As they gradually come to rely on one another—both steadfastly denying anything of the sort—readers witness a heartwarming union of two kindred spirits. One of the notable strengths of a very strong story is Rottman’s characterization of women. Marta and the minor female characters are fully formed individuals, not merely set dressing for male-centered action and adventure. Marta is one of the most intriguing female leads to arise in fiction of all stripes in decades. She’s prickly, but not shrewish; capable, but not emasculating; mute, but thoroughly able to express herself. If for no other reason, The Hardest Ride deserves kudos for the way in which Rottman portrays female strength in the Old West. 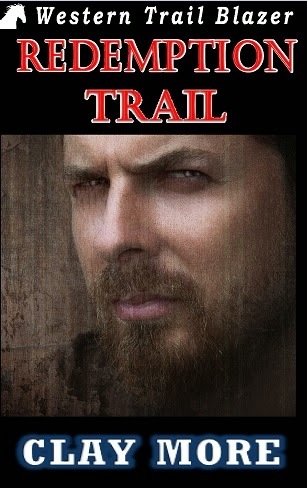 Rottman describes the story as both a young adult western and “a western romance with a body count of about eighty.” In truth, The Hardest Ride is anything but easy to pigeonhole. 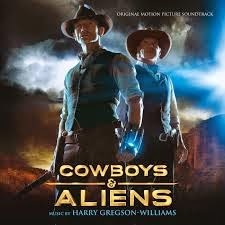 It’s definitely a historical western, but one with broad appeal across age groups and sub-genres. Young or mature, whether western readers prefer sweeping sagas, classic horse operas, shoot-em-ups, or love stories, The Hardest Ride will fill the bill. Approach the book with no preconceived expectations and decide for yourself. Kathleen Rice Adams is a Texan, a voracious reader, a professional journalist, and an author. She received a review copy of The Hardest Ride from the author. Her opinions are her own and are neither endorsed nor necessarily supported by Western Fictioneers or individual members of the organization. Links in the review are for convenience only; they do not produce affiliate revenue. One of the ads was for a set of a Time-Life books about the Old West, and the other ad was for old west maps drawn by Perry C. Van Arsdale. I wanted the entire set of books so badly that I scrimped and saved pennies so I’d have enough saved up to get a money order to buy the next one. Each month, when a new volume arrived, I read it cover-to-cover and back again. They probably cost around $13 each, and I bought them one at a time in a book-of-the-month type situation. Over the years, I've carted this set of books around throughout my many moves. They’ve made it through a basement flood; a partial house fire; an aquarium slowly leaking on the shelf above them; toddlers with crayons and scissors; and puppies with sharp teeth. ;-) I still rely on them in my writing. 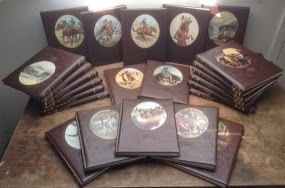 This is an etsy.com image of the complete set, since mine are in storage due to the still-on-hold basement remodel after our flood last fall. I purchased four Van Arsdale maps in 1978-ish. I don't recall how much they cost at the time, but maybe $10 or so. They, too, have their battle scars, but they're all still in good shape. My four maps are: Pioneer Texas, Pioneer Colorado, Pioneer New Mexico, and Pioneer Arizona. I kept the four maps rolled together and in a mailing tube until 2012. So about 35 years after purchasing, my dad mounted them in frames with protective glass. I cherish these maps even more now, because the framing was the last woodworking my dad did before he died in 2013. 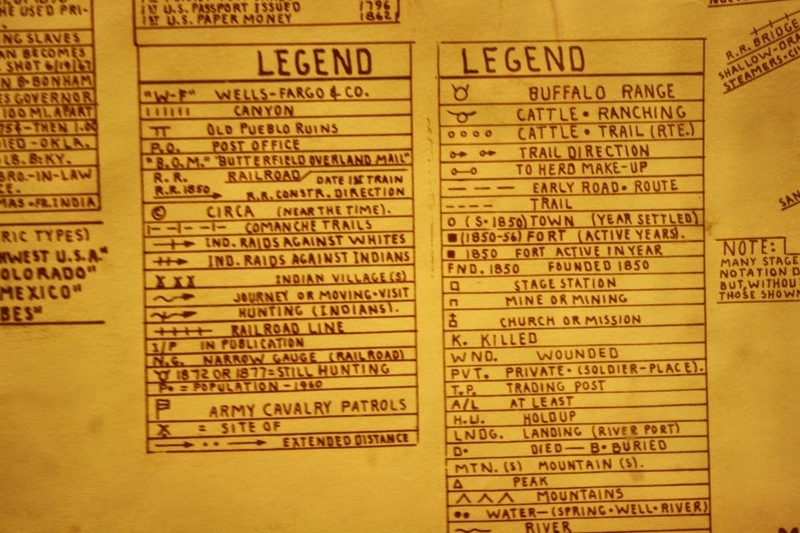 The pictures below give you somewhat of an idea of the hand-drawn, detailed, historical information they contain: dates of railroads, telegraph and stage lines, stage stops, freight roads, water holes, forts, etc. This map measures 35 inches tall by 28 inches wide (inside the frame). My four maps aren't the same dimensions, but they are similar in size. Back when I bought the set of books and the four maps, I really couldn't afford them. But something urged me to buy them, but not in an impulse purchase sort of way. My commitment for the books was about two years, and I bought the maps one at a time as I could afford them. It was more of a "you need to buy these because you'll use them in your writing someday". I'd written short stories ever since I was in elementary school, and I wrote my first novel in high school (it has mercifully disappeared it was so terrible). So being a writer/author was something I'd yearned for ever since I can remember. 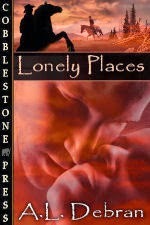 I started writing my first western novel in 1979, originally titled "Epitaph for a Bounty Man", and I finally published it in 2006 as a western romance called "Lonely Places", under my other pen name, A.L. Debran. 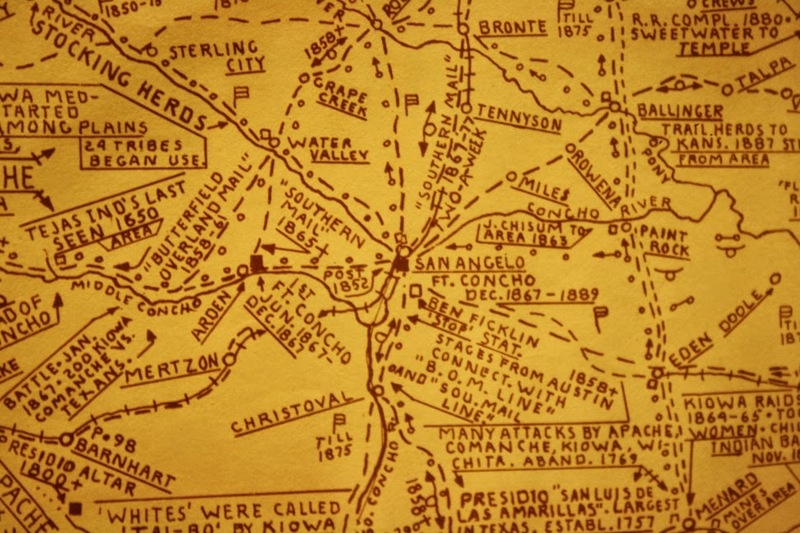 In the early years of writing this story, I plotted the character’s travels on my Pioneer Colorado and New Mexico maps, while relying heavily upon the information in the Time-Life books to make sure my details were as accurate as I could make them. Back then, these were my only sources for historical research. I treasure my Time-Life Old West books and my Van Arsdale maps as I treasure and appreciate my oldest and dearest friends. They've been with me through the clichéd 'thick and thin', and they've never let me down. 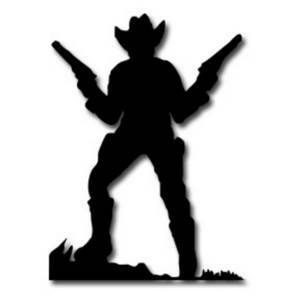 I'm wondering if the good old western film genre, the type we loved, with a die-hard American wild west hero like the Duke, or Shane, Jimmy Stewart, or even Clint Eastwood goes up against the villains and toughing it out, who triumphs and survives... you know that type. IS IT DEAD? Have western movies made a comeback? Let's review the 21st century of western movies, starting with... um. Okay, I had to dig for the ones I'd missed. It seemed dead for a while there. Like, dust. I have to admit there were a lot of TV movies made and miniseries including the remake of Around the World in 80 Days with Pierce Brosnan and Jackie Chan, but I'm talking the big screen. Film - those big reels (now replaced by digital copies) spinning a stream overhead, and a dark theater with those cushy seats, sticky floors, with a bucket of buttered popcorn at your elbow. 1999's WILD, WILD WEST was actually "steampunk" western, when steampunk was first getting hot. Should we classify it as a traditional western? Eh. I thought it was rather fun and Kenneth Branagh sure made a great villain. I suppose it's up for debate. 2000's THE CLAIM had mixed reviews, and SOUTH OF HEAVEN, WEST OF HELL was considered hellish. 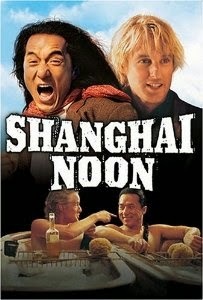 But let's not forget Jackie Chan, who did a hilarious romp through the old west in 2000's SHANGHAI NOON with Owen Wilson -- who reprised their roles for 2005's SHANGHAI KNIGHTS. It's not the Duke, it's not Paul Newman and Robert Redford, or even Clint Eastwood, but when you peel away the martial arts and acrobatics, the Chinese backstory of Chan's character, the goofiness of Wilson and his fake twang, it's still good guy vs. bad guys and a genuine fun time in the old west -- or in London. And then the tumbleweed started rolling... although western movie fans had to wait a few years before a slew of western movies started hitting the big screen again. AMERICAN OUTLAWS debuted in 2001, with Colin Farrell and Scott Caan, a remake of the Jesse and Frank James story. 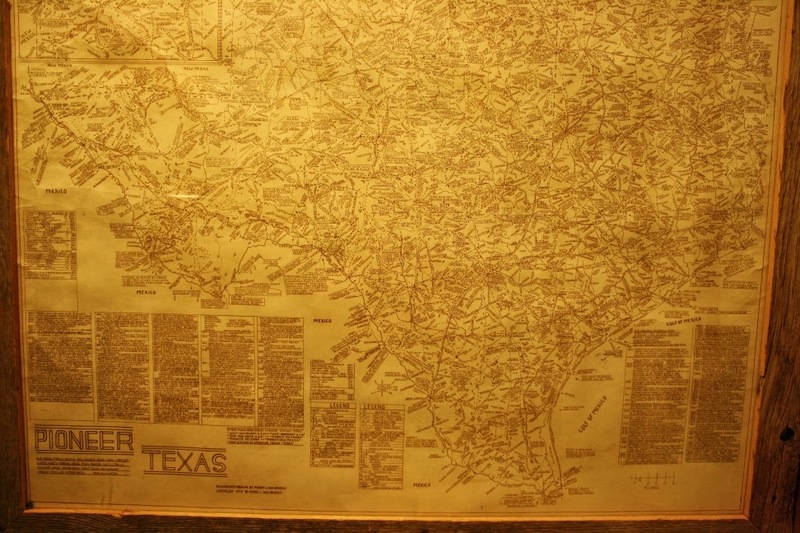 TEXAS RANGERS stomped all over Texas history, from what the reviews state. The animated film SPIRIT: STALLION OF THE CIMARRON came out quietly in 2002. 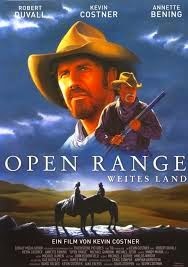 Next wwas 2003's OPEN RANGE -- a Kevin Costner film where he wisely included Robert Duvall and Annette Bening. Who wouldn't love a film about the old days of grazing cattle across the open prairie versus the fencers, plus a villain who owns the sheriff and town... it's also on my TBW (to be watched) list. THE MISSING also came out, with Tommy Lee Jones and Cate Blanchett, but I missed it. Glad I missed GANG OF ROSES, though, pretty trashed. And any sequels of that. In 2004, RENEGADE came out, along with THE ALAMO, another miss (dang!) with Dennis Quaid, Billy Bob Thornton and Jason Patric -- a remake of the John Wayne-Richard Widmark classic made back in 1960 -- along with HOME ON THE RANGE, a cute and fun animated film from what I heard. All three are also on my list. But not the western horror DEAD BIRDS, though. 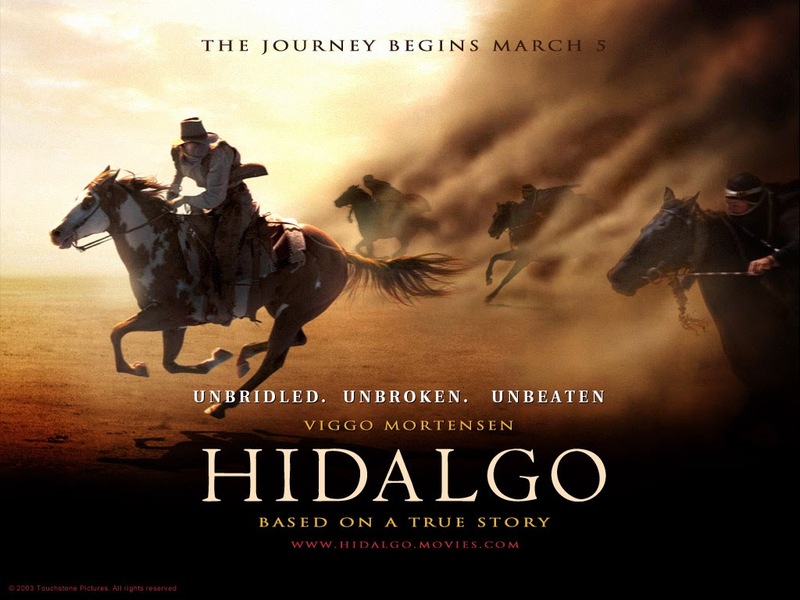 Who doesn't remember the success of HIDALGO? It also won a Spur Award for Best Drama Script in 2005. I loved it. The movie may have played off hero Viggo Mortenson's Lord of the Rings' popularity, but he sure can ride a horse and seemed convincing (for a Dane) as Frank Hopkins. 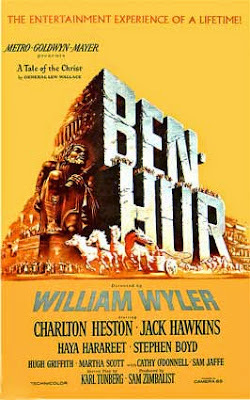 The movie is based on a "legend" of a horse race in 1891, in Arabia, pitting an American mustang against pure-blood Arabian horses. Whatever the legend, or half-truths about Frank and the Ghost Dance, it sure made for great storytelling. And Omar Sharif also helped. Such a great actor. Also out that year, the sequel with Antonio Banderas and Catherine Zeta-Jones for THE LEGEND OF ZORRO -- which was nearly as good as The Mask of Zorro back in 1998 with these two. I liked them both. PURGATORY (which won a 2000 Spur Award for Drama Script) had an interesting premise, with a town in the old west where dead legends got a chance at redemption (or failure) before going to their reward (or punishment). I am putting it on the TBW list. Not so BROTHERS IN ARMS, panned worse than 2003's Gang of Roses. 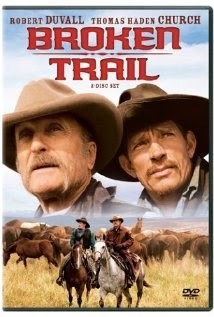 BROKEN TRAIL came next, in 2006, which was marvelous with Robert Duvall and Thomas Haden Church. Another Spur Award winner -- for Best Western Drama Script (Fiction), in 2007 -- and while it aired as a miniseries on television, I couldn't help including it here. It wove two historical events together, the slave trade of Chinese women taken upon arrival in San Francisco to serve as prostitutes in the American west, plus the herding of horses to sell to the British Army at the end of the 19th century. I enjoyed the complex story, the characters, the villains and the bittersweet ending. So great. So much better than the inaccurate, dark and getting progressively darker Hell on Wheels' TV series. I'm not even going there with The Quick and the Undead. Nope. THE ASSASSINATION OF JESSE JAMES BY THE COWARD ROBERT FORD -- a mouthful, indeed, for a film title, won the 2007 Spur Award for Best Western Drama Script (Fiction) and starred Brad Pitt. That should have made it a mega-hit, except I'd never heard of it. Reviewers certainly loved it. Probably worth a look, since the classic 1939 film with Henry Ford as Frank James and Tyrone Power as Jesse is stuck in my head. I'll have to add it to the list. 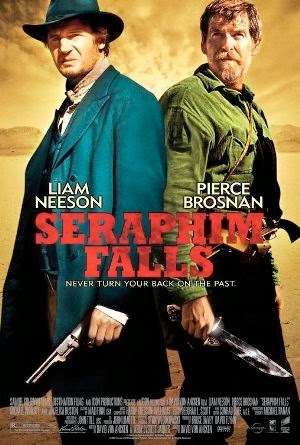 Another 2007 film, SERAPHIM FALLS, pitted Pierce Brosnan against Liam Neeson in a revenge-fueled post-Civil War story. I suppose you could say it was sort of a remake of Clint's The Outlaw Josey Wales, but not as good. I still enjoyed the movie. Two solid actors, even if it seemed an endless pursuit with a 'how can they survive so much with all that violence' type of reaction. And hey, Wes Studi was in the film too! Can't go wrong there. BURY MY HEART AT WOUNDED KNEE also came out the same year, with Aidan Quinn and Anna Paquin, which according to some reviews, is rather an inaccurate account of historical events. Missed this one, along with SEPTEMBER DAWN which dealt with a Mormon massacre. 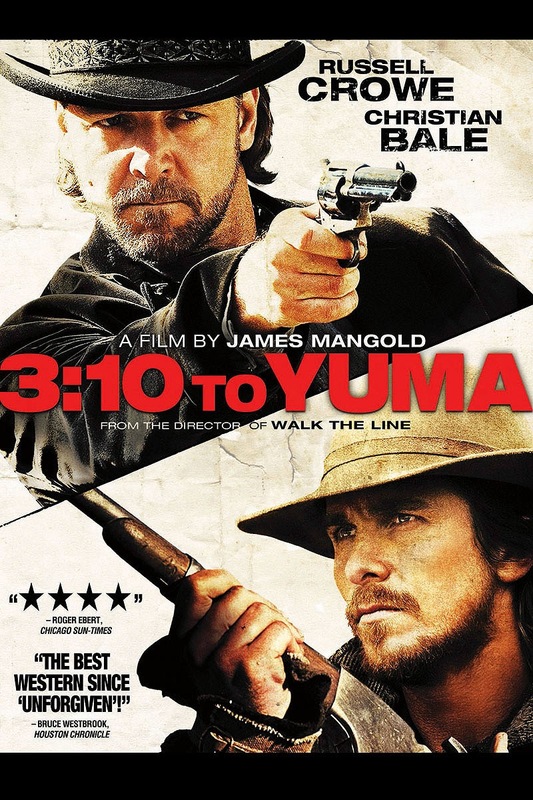 3:10 TO YUMA brought Russell Crowe and Christian Bale together (or should I say pitted them against each other), in a suspenseful western that may or may not have lived up to the classic with Glenn Ford. I personally prefer Crowe in this movie, who seems more believable as an outlaw. Glenn Ford was too nice! The story is solid, the details authentic, and the gunplay perhaps a bit much but hey, western film lovers have been literally dying to see more films such as this. And then in 2008, THERE WILL BE BLOOD was set in turn-of-the-century California, with Daniel Day Lewis who won the Academy Award for Best Actor in his role of Daniel Plainview, silver miner turned oil tycoon. It's a pretty dark movie, from what I hear, so I may bypass it. But hey, California *is* in the west after all, and has tons of great history. And another missed film was GONE TO TEXAS with Sam Elliott. Dang. Chalk another one on the list. 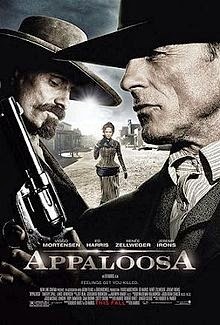 Next, actor Ed Harris (also the director, producer, co-author of the script) and Viggo Mortenson starred in the 2009 film APPALOOSA. Friends and mercenary peacekeepers, they were pitted against a villainous Jeremy Irons -- based on Robert B. Parker's bestselling novel. Pardon me if I'm totally out of the loop about Parker's books -- he has a string of best-selling western books. I admit I only saw it because I love Viggo -- although I didn't care for his goatee in the film -- but my feelings were mixed. It seemed a bit convoluted in terms of story, and didn't have much of a point in my opinion. Except -- if your friend kills so you can have a future with the one you love, will she resent you forever? I don't know. The details were spot-on for a western, however. A horror-western also came out that year, THE BURROWERS, a miss in my book, but hey, it was set on the Dakota prairie. THE LAST RITES OF RANSOM PRIDE was seriously panned. Have you noticed the number of movies coming out each year? YEEHAW! 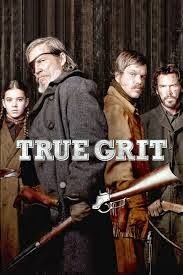 In 2010, the Coen brothers remade TRUE GRIT in a far more faithful adaptation of the Charles Portis' book. It won the Spur Award for Best Western Drama in 2012. But people complained that Jeff Bridges wasn't good enough to fill Duke's boots. I thought he did a fine job, and I much prefer Hailee Steinfield's portrayal of Mattie than Kim Darby. (Sorry, Kim, you were too old and you should have worn a long-haired wig in a loose topknot, at the very least). Even Matt Damon improved on Glen Campbell's LaBoef. I enjoyed seeing the Duke and Kate Hepburn in the (fictional) sequel, Rooster Cogburn, which came out after the original True Grit film. I have my doubts the Coens will bother. Too bad. THE WARRIOR'S WAY also came out, along with MEEK'S CUTOFF and JONAH HEX. No idea if they're good/bad. 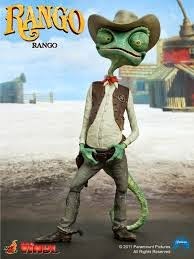 2011's RANGO was so fun -- and I don't care if animated films aren't seen as traditional westerns. I truly LOVED this movie. What a cool premise -- a green (and greenhorn) chameleon is stranded out west, meets some interesting characters and is seen as an unlikely hero. Loved Roadkill, Iguana Beans and other "townspeople" animals in Dirt -- plus the Spirit of the West... fabulous story, wonderful characters, a good solid and heart-of-gold ending. 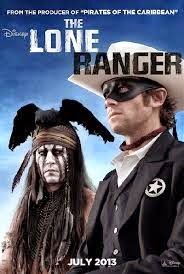 It may not be easy being green in Rango, but in my opinion Johnny Depp ought to have kept this as his "western tour-de-force" instead of tackling Tonto of the Black-Crow-head. Another movie that came out that year, BLACKTHORN, begins with an intriguing premise. What if Butch Cassidy didn't die in Bolivia, and is tired of living as an ex-Pat and wants to see his old friends back home? From what I hear, Sam Shepard gives a solid performance. I'm putting it on my TBW list -- although some reviewers say it's nowhere near the Paul Newman-Robert Redford Butch Cassidy and the Sundance Kid romp of the 70s. Still, might be interesting to see. Yup, the list. Not so for THE LEGEND OF HELL'S GATE, despite being based on Texas history, or YELLOW ROCK. I missed all of these 2012 films: DJANGO UNCHAINED which won director/writer Quentin Tarantino an Academy Award for Best Original Screenplay, plus a Golden Globe and a Spur Award for Best Western Drama Script (Fiction). Sam Elliott's I WILL FIGHT NO MORE FOREVER, which is supposedly a far more accurate depiction of the Nez Perce tribe's flight to Canada. Both AMBUSH AT DARK CANYON and DAWN RIDER were not well received. Surprisingly, the "are-you-serious?" hit ABRAHAM LINCOLN: VAMPIRE HUNTER might not have been set in the west, but come on! Honest Abe, hunting fang-studded vamps! That is definitely on my TBW list. 2013 brought in THE GALLOW-WALKERS (another zombie fest, oh no! ), A NIGHT IN OLD MEXICO, also with Robert Duvall, SWEETWATER with Ed Harris and January Jones, and the butchery (or scream-fest, depending on your point-of-view) of THE LONE RANGER. Need we say more? Did it put the kibosh (or a slash from El Kabong, for Quick Draw McGraw fans) on future western films? Did it signal the coming wave of comical westerns reflecting the tongue-in-cheek Blazing Saddles? I rather doubt it, not with this year's coming films THE REDEMPTION OF HENRY MYERS, THE HOMESMAN, THE SALVATION, DOC HOLLIDAY'S REVENGE, FORSAKEN, HOT BATH AND A STIFF DRINK, plus 2015's JANE GOT A GUN and BONE TOMAHAWK plus others. Wow! Keep 'em coming, that's what we say. Don't forget this month's A MILLION WAYS TO DIE IN THE WEST -- it might not be as funny as The Lone Ranger. Then again, it might be better! Hey, Liam Neeson's in it. You might be able to see the whole movie by clicking here. One thing is for sure. Western films for the big screen ain't exactly dead and buried. Yet. Award-winning mystery author Meg Mims -- also one-half of the writing team of D.E. Ireland -- lives in Southeastern Michigan with her husband, a 'Make My Day' Malti-poo dog and a sweet Lhasa Apso-mix rescue dog -- the "hero" of Santa Paws. She loves writing novels, short novellas and short stories, both contemporary and historical. She earned a Spur Award, a Laramie Award and an M.A. from Seton Hill University's Writing Popular Fiction program. 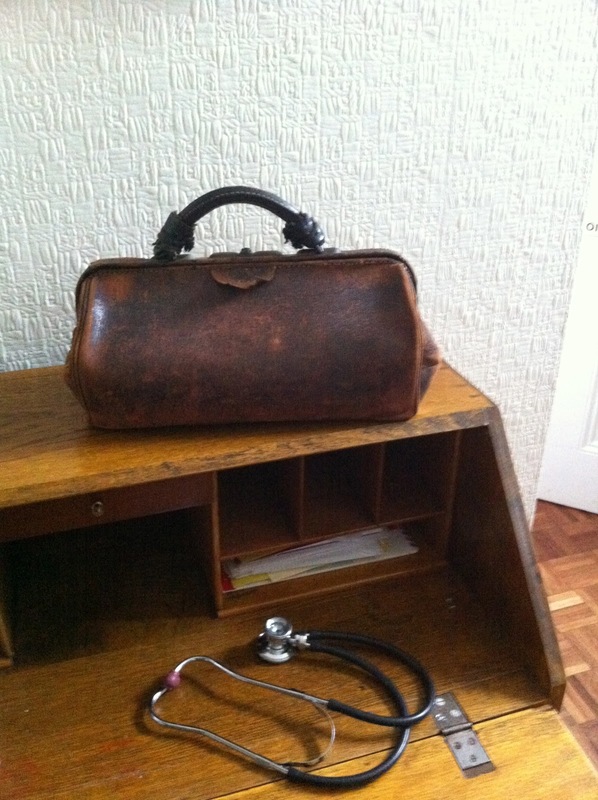 THE DOCTOR'S BAG - DIG THOSE BULLETS OUT, DOC! In the Doctor's Bag this month I want to draw your attention to a little of the work of Dr George Emory Goodfellow, famously known as the surgeon to the gunfighters. He was without doubt one of the most remarkable characters ever to practice medicine and surgery. He was a polymath, a man who would have made an impact anywhere, any time. He just happened to be practising as a doctor in Tombstone, Arizona during one of its most violent epochs. Among his many achievements, he was the first doctor to perform a laparotomy (the operation to open the abdomen) to treat abdominal gunshot wounds. He was the first surgeon to perform a perineal prostatectomy and he was an early advocate of aseptic surgery and of spinal anaesthesia. He was a geologist (his father was a mining engineer), an expert on Gila Monsters, a boxing champion in his youth and a man that you didn't cross (he carried and was prepared to use a concealed Italian poniard dagger). 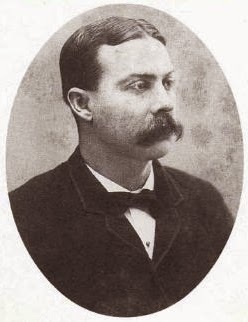 George Whitwell Parsons and he led an emergency relief operation to treat the injured after the devastating Sonora earthquake of 1887. For this he was called El Santo Doctor, the sainted doctor, by the people of Bavispe and he was given a horse, El Rosillo, by President Diaz. An interesting area of research that Dr Goodfellow undertook was into the possibility of making bulletproof vests. Indeed, his research was of fundamental importance in this. Many of the greatest discoveries in medicine and science come about because someone sees something that others may also have seen, yet only that person understands its significance. They are the Eureka moments of science. 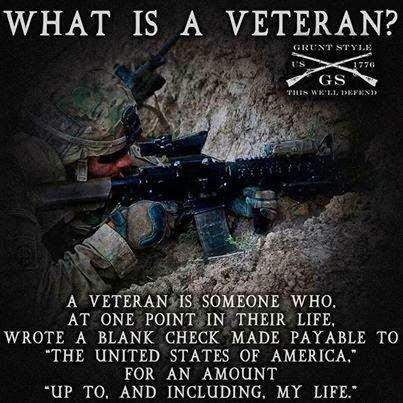 George Goodfellow had his when he was digging out bullets! In 1887 he wrote a paper in the Southern California Practitioner, entitled Notes on the Impenetrability of Silk to Bullets. In it he outlined three instances of gunshot wounds wherein bullets either did not go where they should have, or what should have been a fatality was not. It was the fact that the victims all had silk in one form or another, through which the bullets could not penetrate. The paper is fascinating, but it is written in the dispassionate clinical manner of all scientific and medical papers. The tales behind them are fascinating and indeed apocryphal anecdotes of Tombstone during those violent days of the Wild West. I propose to describe these tales in more detail in another work, so for now it is enough to mention that in one case a fatal chest wound showed no blood loss, which was remarkable. The reason was that the bullet had hit a silk handkerchief and driven it into the chest cavity, but it had failed to penetrate the silk. In his post mortem examination he pulled the silk out and the bullet came out all wrapped up. In another, that was not fatal, a man was shot in the neck. He was wearing a silk neckerchief, which once again did not allow the bullet to pass through it, the result being that he did not sustain injury to the great blood vessels in his neck. Doctor Goodfellow went on to experiment with this, using layers of silk, rather like the medieval protective, quilted gambesons that had been used to protect against arrows. Others followed him and by the century's end bulletproof vests made from silk were being produced. They were extremely expensive, of course, yet offered some protection against bullets of low power. My later ego Clay More has a couple of recent releases. - seven interconnected short stories. Doctor Marcus Quigley, qualified dental surgeon, gambler and sometime bounty hunter has gradually been working his way west. His reasons for choosing such a lifestyle are personal and pressing, as well as expedient, for there is someone he means to track down and hold to account for a murder committed some years previously.